Die Casting Tooling. Aluminum die casting is a manufacturing process used to fulfill orders for large quantities of small to medium sized metal parts. This dependable process is used for high volume products made by the metalworking industry. This process called die casting starts off with molten metal. The molten metal is then forced into the Die Casting Molds in a high pressure environment. After which, they are then machined into dies. This process results in the metal parts to be consistent in their dimensions, with high quality and good detail. For most of the time, die casting makes use of non ferrous metals such as tin, aluminum, zinc and copper among others but ferrous metals can also be used in this process. However, harder and stronger metals such as steel and iron cannot be used in this process; instead they are used to make Die Casting Molds. 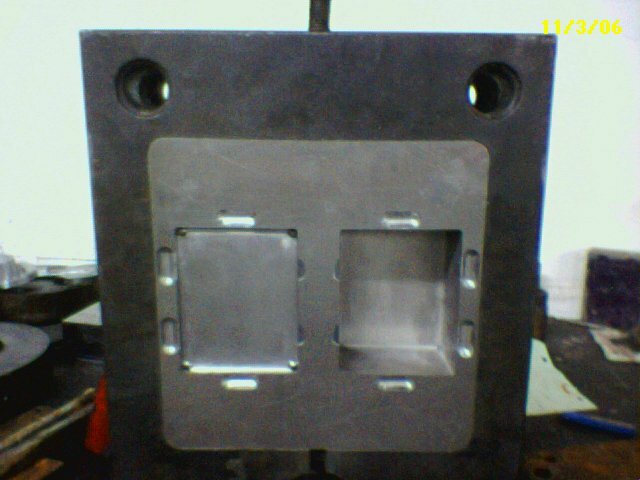 These die casting molds come in a number of different shapes and sizes. Some can be made as single cavity molds which can make one part for every cycle or multiple cavity molds which can make several parts in a single cycle. Their shape and design would determine the cost of these molds; the more complex the design then the higher the cost of the mold would be. They can be very expensive, ranging from hundreds of dollars to thousands of dollars per mold. Die Casting Tooling Types – Kinetic Die Casting Company produces die casting tooling for may types of die casting products. Typically the least expensive tool to buy to get die casting parts. The cost of an insert starts at about $6000 and could range upward to over $20,000. The inserts can weigh as little as 30 – 40 pounds or more than 100 pounds. And typically the die casting inserts are only 4″-6″ larger than the part that needs to be produced. Die Casting Inserts need to be mounted into a Die Casting Mold Base. If the die casting part needs a slide or slides. The mold base could be more costly. The Die Casting Insert Tool is mounted into a mold base to make die casting parts. The mold base is very large (usually over 15 inches), heavy (usually over 1500 pounds) and expensive (usually over $4,000). The mold base is necessary to control the temperature and pressures in die casting. The mold base has a hole to allow the metal to be injected into the tool. The mold base has special clamping slots so it can be mounted into the die casting machine. The best quality tool. The most expensive tool. The tool that is the easiest to move from one die casting company to another. This tool is the complete package, cavity inserts and mold base. It mounts directly into the die casting machine. It controls the temperature and pressure much better than it’s counterparts. A die casting trim die cuts the excess material around the die casting part (flash). The die casting trim die mounts in a hydraulic press and saves time and produces a better part than sanding parts. Whether, you need die casting parts produced in aluminum or in zinc, contact Kinetic Die Casting Company to purchase your parts or die casting tooling. Die Cast Parts Tooling for Making Die Cast Parts. The process of making of aluminum die cast parts entails value for product quality, above else. With this in mind, aluminum die casters tend to give premium on following specifications right to the tilt. The basic agenda on the list is die construction, which is primarily made of die casting tooling. Tooling for Die Casting aluminum is made of alloy tool steels in at least two sections, namely the fixed die half and the ejector die half. In modern times, dies may carry cores, movable slides, or other sections for the production of threads, holes, and other features for the attainment of the desired shapes. The fixed die casting tooling mold half has a shot hole that makes it possible for the molten aluminum metal to enter the die and fill in the cavity. On the other hand, the ejector die half has runners and gates that lead the molten metal aluminum right into the cavity. Aside from these two sections involved in the aluminum die casting process, dies also consist of locking pins (for purposes of securing the fixed die half and the ejector die half), ejector pins (for purposes of making the removal of the aluminum cast part easier), and openings (for purposes of cooling and lubricating the molten aluminum metal or aluminum casting). When the chamber closes, the fixed die half and the ejector die half become one and remain locked together, thanks to the chamber’s hydraulic pressure. After a certain amount of time elapses (depending on the total projected surface area and the pressure required for the injection of the metal into the cavity), the aluminum die casting process is completed and high quality die cast parts are produced. Die Casting Tooling is the greatest cost barrier to producing aluminum die cast Custom Metal Parts. The die cast die mold base is a very large percentage of the die cast tool cost. 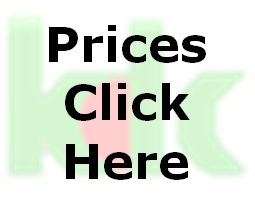 Kinetic Die Casting uses our die casting mold bases to save money for our customers, so they can get the die casting parts they need.